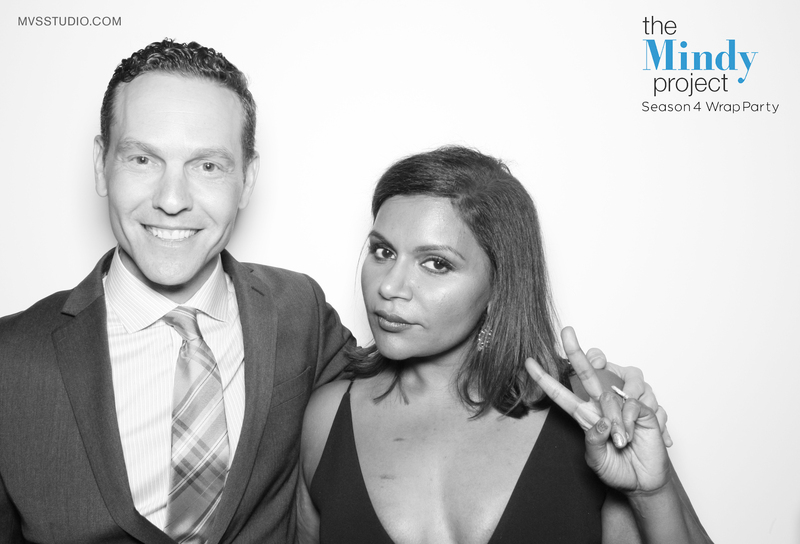 The MVS Studio Digital Photo Booth captured the action at the Mindy Project Season 4 wrap party in Los Angeles. We love this awesome shot of Mindy Kaling and writer Jonathan Green. For us, it starts with taking a great photograph. People get excited about sharing images that capture them at their best. That has been the key to our success for over 12 years in the photo booth industry. Our equipment is built with the best lighting and cameras, so having the Digital Photo Booth at your party is like having a studio photographer in a box! All of our event techs are photographers, so any tweaks in exposure are handled onsite by a pro. This is why people keep coming back to us, the images are beautiful, just like the one above. Don’t they look fabulous? Do you have an event coming up where you would like instant high quality images then book the MVS Studio Digital Photo Booth!